The Americas Cup yachting challenge has presented an amazing opportunity for humanity to further develop and perhaps even master the qualities of Patience, Faith and Allowance, not to mention Co-Creation! From a higher perspective we can see much more going on than two boats attempting to out-sail the other. My own experiences as an ocean sailor often included patiently waiting weeks for weather patterns to provide an optimal safe and comfortable passage. My Skipper and partner modelled great wisdom here and consistently resisted the urge to depart out of eagerness to begin an ocean passage or out of sheer frustration from waiting. He gained a reputation for his weather-wisdom and many other cruisers would simply depart at the same time as us, feeling secure about a safe passage. However, he wasn’t comfortable about having people depend on him in this way, almost placing the responsibilities for their lives and yachts in his hands, and so he always encouraged others to make up their own minds about the perfect time to depart. The Universal Web of Consciousness also wishes us to a have safe and comfortable passage throughout our journey on Earth, and is always available to help us navigate our way around a vast ocean of life experiences. With an ‘All -Seeing Eye’ Spirit may steer us away from unchartered reefs that hold the potential for shipwreck; unless of course shipwreck is exactly the best opportunity for us to learn something of great value. It may be an emotional, physical or mental shipwreck that allows us to jump overboard from a life, or aspects of our life that no longer sail us in the right direction. One of the many ways Spirit can gently point out a more desirable route is to delay us in some way. If we can surrender to delay we are much better positioned to experience ease and grace, whereas resistance will most likely result in some heavy weather conditions and a rough ride. I really resonate with this message; especially the aspect of impatience being a form of lack of Faith in an outcome. It seems we are easily disappointed and prone to becoming anxious about an anticipated and much hoped for outcome, the moment it appears it may slip away from us. The sailing teams are wonderful models of holding onto their vision and dreams despite upsets and set- backs. As we follow the racing we can either support them with our own unwavering belief in them or we can heap our disappointment and doubt on to them. One of these approaches will lift the boat high up on its foils while the other will weigh the bow down in a trough of depression. We are all Co-Creating the outcome of this race with our collective thoughts and beliefs. It’s been fascinating to observe the two commentators covering the challenge in San Francisco. While one remains so firmly attached to earlier success of Team New Zealand and hasn’t adjusted to the new dynamics of the race that he visibly oscillates between jubilation and dubitation, the other is optimistically detached and simply allows each day to be what it is, and so avoids being emotionally and mentally tossed around in the waves of doubt, as his colleague is. It is no wonder the New Zealand theme song is “Have A Little Faith In Me”! Another observation has been the way the two teams flowed with the challenges of a highly prestigious pressurised competition, providing a glimpse of differences between the New Earth and the Old Earth paradigms. Team New Zealand found their Inner Way and continued to practice and strengthen their performance seeing both racing and non-racing times as a seamless event; no beginning and no end. They continued to experiment with new technology and techniques and stayed very present to the moment. By contrast Team Oracle seemed to step out of their role to rest after the Lois Vuton series, thus took focus off their goal, and then visibly lagged behind their opponents in the first seven races. To their credit they learned very quickly from Team NZ and balanced the challenge by being able to quickly adapt. How pertinent this is to the way we live in the New Earth; quickly adapting to change and literally sailing by the seat of our pants! It is also pertinent that Team NZ should herald in unprecedented technology and human techniques as New Zealand is after all ‘The First Light’ and is deemed to be a way shower of the New Earth. 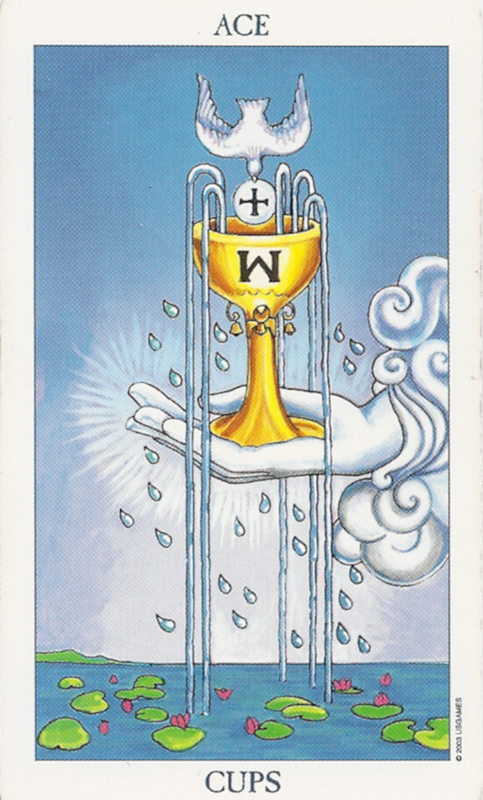 The element of Water is currently playing a huge role in clearing lower vibrations from Earth and her inhabitants and so it is hugely appropriate that global attention is placed on a water event such as the Americas Cup. It came as no surprise that on the day of the Equinox, San Francisco (and other parts of the world), received a deluge of rain, the first in the past three months. While the world was on standby for a final, all- deciding race, Water and Air simply created unfavourable ocean currents and wind direction sailing conditions, then rained copious amounts of unconditional love over the heads of spectators to boot! I love Water as a teacher of Patience and Faith. The qualities of Patience and Faith are precursors to Grace- when life is experienced seamlessly as ease and flow. Patience and Faith also follow on to Allowance and Acceptance, also necessary for a state of Grace. And Grace is a direct route to Joy! With Mother Nature playing such a vital role in this much coveted event, perhaps we should consider renaming the ‘Americas Cup’ to ‘Mother Nature’s Chalice’ or perhaps ‘Chalice of Patience’?